Deadpool has already killed every hero in the Marvel Universe, but he isn't through. This time...Deadpool's gonna take down the most famous characters in classic literature! Why read a book when you can watch a book die?! Tom Sawyer gets slashed in TWAIN! The Little Women's throats MAY get ALL-CUT! Scrooge gets a visit from THREE BULLETS! Gulliver gets a SWIFT DEATH! The Three Musketeers are all for DONE! Sherlock Holmes gets to the bottom of HIS OWN GRAVE! And more book-related puns! 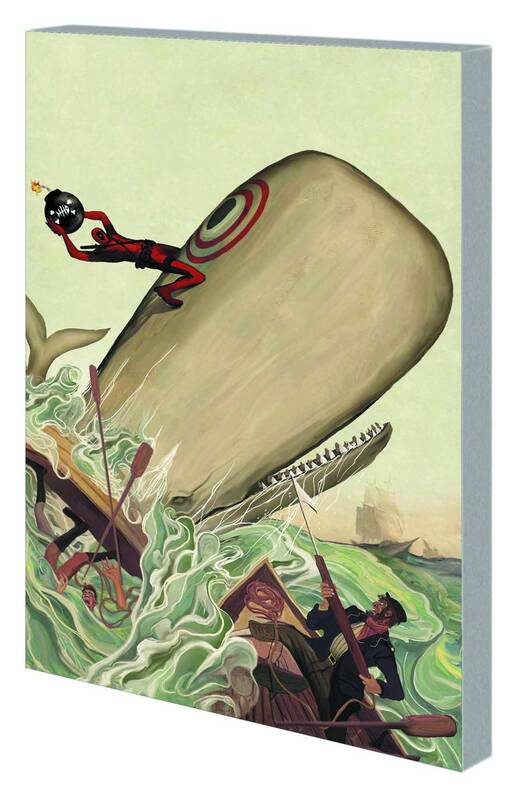 Can Deadpool rid the universe of the scourge of classical literature? Throw away your library card and buy this book! You never knew how badly you needed this! Collecting DEADPOOL KILLUSTRATED #1-4.